Over the past couple of weeks I have been running this MFSK16 APRS HF tracker in the car as a breadboard on 40m. I tossed up on whether to make a leaded or surface mount PCB, but ended up with a leaded board as most of the parts easily available were leaded. The board isn’t too tight and could be made smaller. The board came out at 75mm x 70mm, so it’s pretty compact anyway. The next morning after assembling it, , it was in the car and under test for a SOTA day. 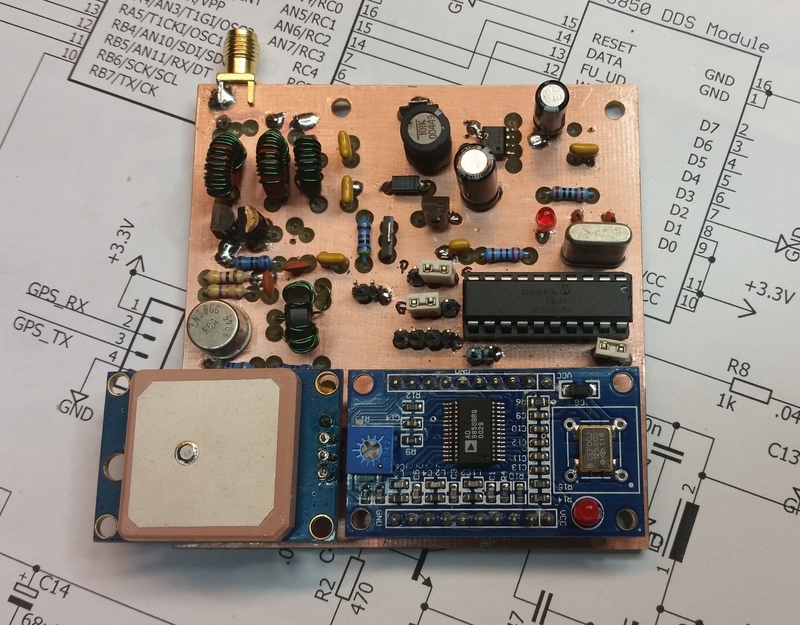 It worked pretty well for 1.5W on a Lipo supply with only 2 of the 3 BS170 FETs in the final. It should put out 5W with the third one installed with a supply of 13V. Several location reports were received by Gerard, VK2IO and gated to the internet. The antenna on the car was a small loaded 40m whip on the nudge bar. If we had a few APRS Messenger gateways in Australia, QRP APRS would be a lot more viable for say, SOTA expeditions. The transmitter now has 3x BS170 FETS in parallel and makes about 3.5 Watts out at 13V. I found a plastic enclosure in the junk box that is a very good fit. For the 3.3V rail to supply the GPS and PIC, I used an LM2594 buck switcher to 5V and then a linear regulator to 3.3V. I may ditch the linear regulator and use the switching one to supply 3.3V but for the moment, the supply is kept very clean with the addition of the linear regulator. Current consumption at 12V is less than 40mA idle and could be reduced further by shutting down the GPS receiver between transmissions. Mike’s code supports GPS shutdown. This entry was posted in Projects, radio communications, SOTA and tagged APRS messenger, HF APRS, MFSK16. Bookmark the permalink. Fantastic Glen. I have received your packets a few times. If only we could get APRS messenger on a raspberry pi I would be a happy man. That’s great, a couple more APRS Messenger igates would work well for SOTA too. Cool, great to see some activity. 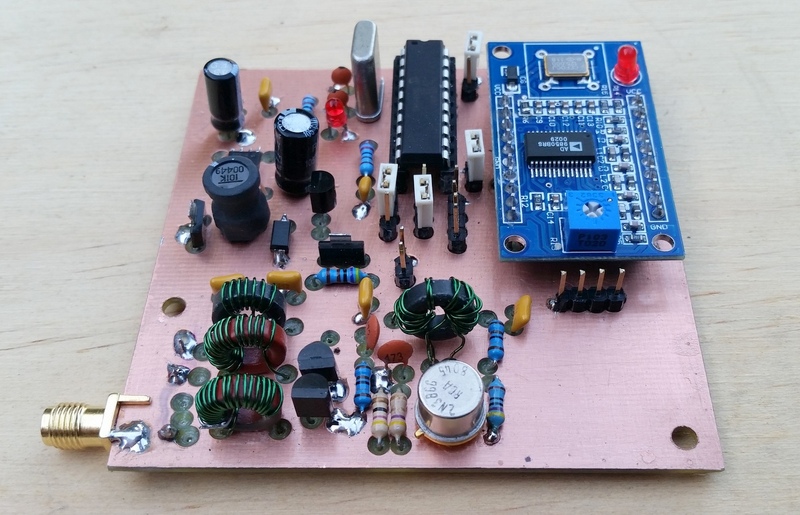 I’ve ordered 3 of Mike’s APRS ‘FreeTrak 16’ boards. So we will seek to put out some RF, I’ll also try and set up an iGate using Messenger, and a MagLoop. (I have space restrictions). Mike, N0QBH here. I was wondering how this project was progressing? Hi Mike, the tracker works very well and has been reliable. The challenge over here has been lack of dedicated stations running to receive tracking transmissions. There was a bit of interest six months ago, but that seems to have died off. Have been travelling for the past couple of months so haven’t had much time to follow up. Cheers, Glenn. I have built up three of Mike’s Trackers, and have also freed up a Win10 PC so will seek to get the iGate up and running (from the balcony, pointing in the wrong direction). Some more iGate would be useful. I am working on getting one in VK6. Will need to apply some gentle persuasion! Anyway, good work Glenn! And Mike! 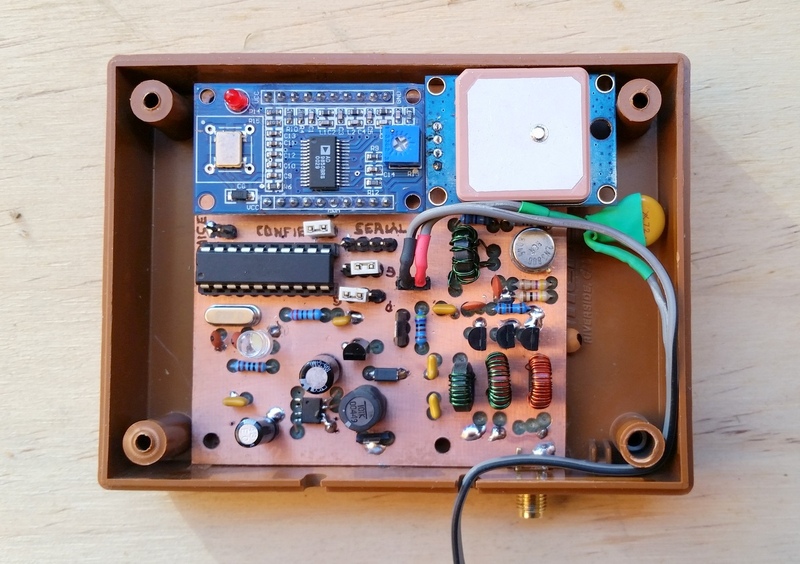 We should also encourage Hans G0UPL, to include the MFSK16 mode in his QSX kit. That would increase interest/usage!